Please find below a selection of questions. We have tried to answer the questions you may have. However if you don't find the answer you are looking for or require more information, please do not hesitate to contact us by email or telephone 01978 437 029. How do I exchange my item for a different size/colour? How do I return an item and get a refund? Will my order be delivered by a reputable courier service? What are your delivery/postage costs? Do you ship to EU countries and outside of the EU? Do you pass my personal details to others? Can I follow Cherry Tree Country Clothing on Facebook, Twitter, Youtube and Pinterest? How do I subscribe to Cherry Tree Country Clothing's newsletter? We currently accept all major debit and credit cards, PayPal transactions, cheque or postal order. 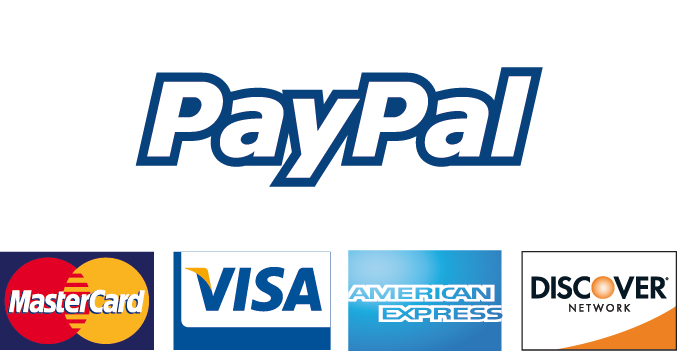 When you wish to make a payment you will be taken to the payment pages on the secure PayPal site, If you would like to pay using your PayPal account. If you wish to pay by credit or debit card without logging into a PayPal account, then simply fill out the same easy payment form including your credit or debit card details. You will see a summary of your order which includes total amount and delivery address. The system will then ask you to confirm your order and click on "Pay Now". Once the payment has gone through you will receive a confirmation email. For further information, please check out PayPal's website here. We can also accept a cheque or postal order for your order. You will need to complete the Customer Order Form and post it with your payment to us. For more information, click here. Most of the items on our website will be held as stock. However if items are temporarily out of stock, there may be a slight delay. Should this occur,we will contact you with 24 hours of receipt of your order and notify you of any delay, informing you of an estimated time of delivery. We may on occasion offer alternative similar products for you to consider. It is not necessary to register with Cherry Tree Country Clothing. There is the option of being able to "Checkout as a guest". This option is available once you proceed to checkout. If you have forgotten your password, you are able to reset this when you go through the payment process. Once you have selected your items, view your cart and click on "proceed to checkout". On the account details page, there is a "Forgot your password" link. Click here and you will be prompted to enter your email address, which will then send you an automated email. Click on the link in this email and it will then prompt you to enter a new password. 1. You will receive an automated email confirming your order. If you do not receive a confirmation email, please contact us as soon as possible. 2. You can sign in to your account where you can access all information regarding your order. You can also send messages, view your order status, view your address book to amend shipping and billing destinations, access your wish lists, amend your account details and view your recent items. Currently this service is not available. We cannot currently take payments for orders over the phone but we are happy to deal with any queries relating to orders over the telephone. Where do I enter my discount code (Coupon Code)? You are able to enter your coupon code on your Shopping Cart page. You also have the opportunity to enter your discount code when you confirm your order during the Secure Checkout system. Please return all faulty items using the Returns Form. All faulty items will be returned to the manufacturer whereby they will carry out an assessment and they will make a decision on what the next step is. Please complete and email back the Returns Form to info@cherrytreecountryclothing.com. For further information click here. Please return all unused goods, in original packaging with tags and labels attached, within 28 days of delivery. Individual circumstances will identify whether a full refund or exchange is appropriate. Any goods that have been used cannot be returned unless there is a fault with the item, within which a warranty claim will be entered into. For further details about how to return items, please access our Returns page. When your items have been dispatched, an email will be sent to you confirming your items have either been shipped or partially shipped (depending on the number of items you have purchased). Yes. We currently use Royal Mail Recorded Delivery to send all of our parcels. A signature will be required upon delivery. Yes, a tracking number will be added to your "Confirmation of Shipment" email. You can check with the Royal Mail Track and Trace service to see where your parcel is located. You can also check progress of your order, including your tracking number here. If you have not received your items within a reasonable time, please track your parcel with Royal Mail (using Track and Trace service). If there is still a problem, please contact us immediately. If the item is damaged upon delivery, contact us immediately. Delivery depends on location and weight of parcel. For a detailed breakdown of costs please see our delivery charges page here. Yes. Our system will automatically give you a delivery cost based on your delivery address. For further details, pleae see our delivery charges page here. No personal details will be passed to third parties. We currently use PayPal to carry out all online transactions so we don't have access to your credit/debit card details. For further information regarding the security of PayPal please click here. We also have a shared SSL Certificate. When you are entering any personal information, a small padlock will appear in the address bar (This padlock will only appear when our website requires you to enter personal information e.g. when signing in). This SSL Certificate provides an encrypted tunnel between your computer and Cherry Tree Country Clothing and will prevent third parties from accessing your information. Yes, our social media icons are located in the header and footer of our website. Click on these icons and they will take you to our social media pages. For up to date information, special offers and promotions, please click here to register for our monthly newsletter. If you don't find the answer to your question, then please contact us and we will respond within 48 hours. Thank you for the interest you have shown in Cherry Tree Country Clothing and we hope you enjoy your shopping experience with us.